DAVID LE/Staff photo. 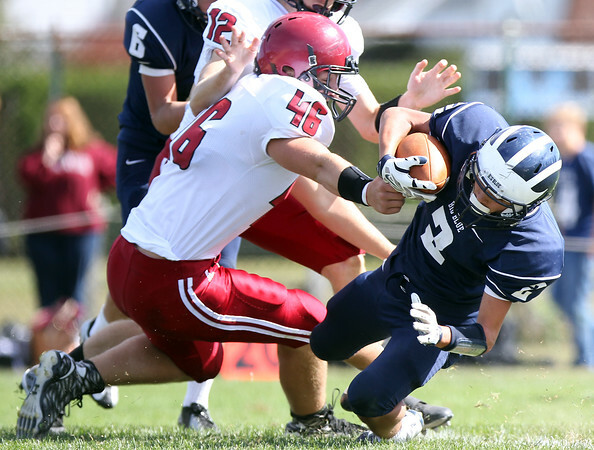 Swampscott junior Sean Lahrizi (2) dives forward for a few extra yards while being brought down by Gloucester's Ryan Gabriele (46). 9/26/15.